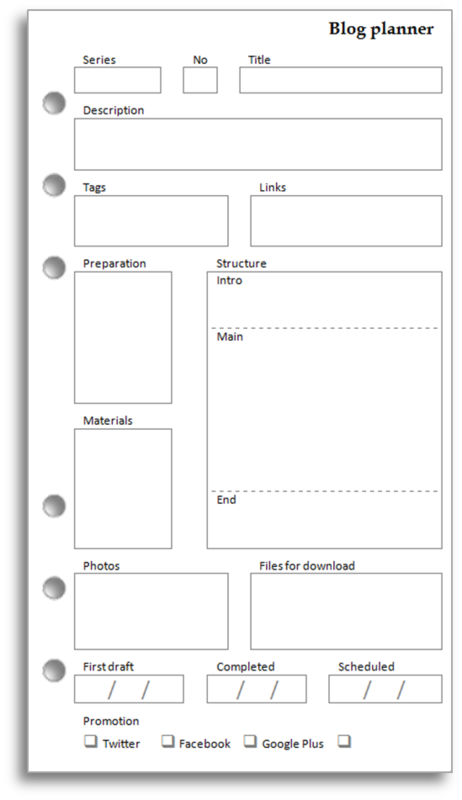 This one is an adaptation of the Video/vlog Planner, and is designed to allow planning of blog posts. You can download this insert in a choice of formats. Print the file double-sided. If you have a duplex printer, set it to flip on the short edge. If you don't then you'll have to print odd-numbered pages and then refeed to print the even-numbered pages on the reverse. You might have to experiment to find out how to refeed the paper.